Should I travel to Ladakh from Srinagar or from Manali? Or I should travel from Manali to Ladakh and come back from Srinagar side? It is one of the most common questions on my blog and I will write a detailed article on this topic today. Every year in the month of May – June, the heavenly place called Leh Ladakh open its door and lots of adventure travel freaks hit the highways to the Himalayas from various parts of India to live their adventure of the year. The ride or drive to this adventure-filled journey to Leh Ladakh is nothing less than an adventure pilgrimage. Should you travel to Ladakh from Srinagar Leh Highway? Well, this is the most recommended suggest I give on my blog that you should always travel to Ladakh from Srinagar Leh Highway and come back from Manali Leh Highway. 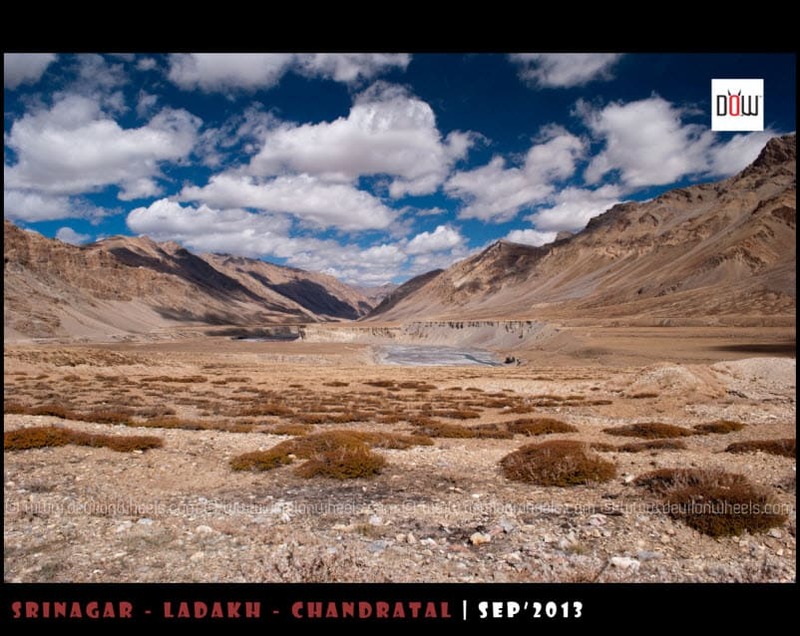 I seldom share the reason in detail why do I suggest to travel to Ladakh in this direction. Many folks also suggest or argue that traveling to Ladakh from Manali side is more adventurous and beautiful than travel in the direction from Leh to Manali side. I will say, it depends upon with whom you are traveling and what kind of traveller are you? If you are alone / solo adventure traveller used to situations of getting stuck or returning in the middle, well the answer is you can give it a try. However, if you are traveling to Ladakh with family or a kind of a traveler who prefers low risks and more comfort plus, then better travel to Ladakh from Srinagar side and comes back from Manali side. Still, not answered? Let’s look into more details. I will try to enlist five reasons below why I suggest traveling to Ladakh from Srinagar to Leh over Manali to Leh direction. Planning a trip on Manali Leh? When you travel to Ladakh via Srinagar Leh Highway, you ascent in altitude in a gradual manner. This means that your body gets more time to get acclimatized for the high altitude of Leh and you feel much better plus relaxed upon reaching there. Always remember, when traveling to high altitude places such as Ladakh, the more acclimatized your body is, the less health (acute mountain sickness) issues you will face. And when you travel to Ladakh from Srinagar – Leh Highway, it indeed holds true and hence a good reason to prefer it over Manali Leh Highway. If you start your Ladakh trip via Manali – Leh Highway then most of the terrain runs over 4000 Mtrs of altitude (you hit above 5000 Mtrs on the second day itself). Hence, by the time you reach such a high altitude, your body is not properly acclimatized. Traveling becomes a bit harsh on Manali Leh road. So, there is a very high chance of falling sick due to AMS and ruining the trip altogether or returning back in the middle. When you are traveling with family including children or old age people, going via Srinagar – Leh Highway makes even much more sense. Read all about Acute Mountains Sickness and Importance of Acclimatization including some very important tips on how to prevent it. Even if you choose to travel from Srinagar Leh Highway, it does make sense to read this article. As I said, many people argue that going from Manali Leh Highway to Ladakh offers much more scenic views than the other way round. I have covered Manali Leh Highway in last 9 years from all directions. Although I do agree to an extent that the views may be better but it has to do with excitement and seeing such views early in the trip. However, you should first ask yourself that “Is it worth risking (even about 30%) the AMS, fatigue or turning back in the middle of the trip ruining the entire Ladakh trip?”. If you say, yes, it is worth the risk, then go ahead. When you travel to Ladakh from Srinagar – Leh Highway and then do sightseeing within Ladakh, your body gets very much acclimatized to the high altitude of Manali – Leh Highway. Hence, rather than worrying about your health, you definitely enjoy the beauty and explore Manali – Leh Highway in a much better way as compared to when you travel the other way round. 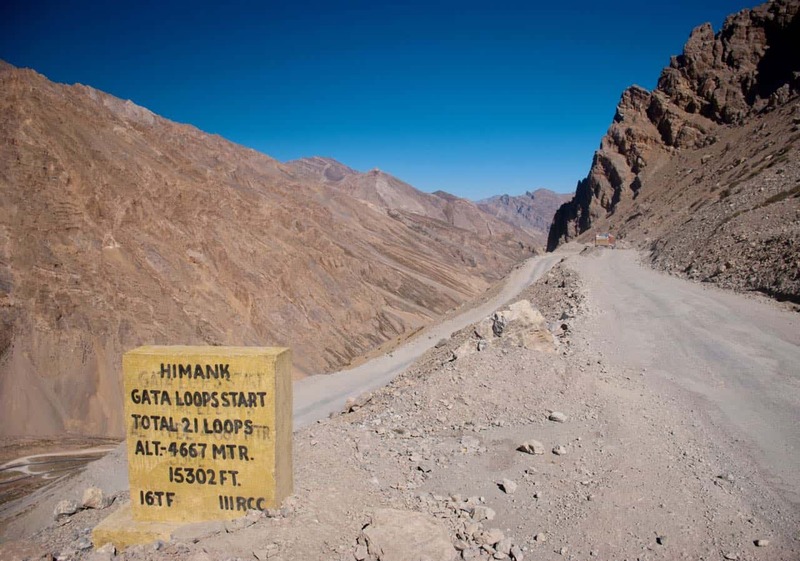 If you are traveling via Manali Leh Highway in a tweaked manner and get stuck at some high altitude pass (there are 5 passes on the way) due to some mechanical failure or landslide or road blockage, it will mean some serious trouble for you. Without proper acclimatization, there are high chances of worsening the symptoms if you prolong your stay at such high altitude. This may cause some serious health issues at one of the remotest places where even help would be hard to find for a long time. You know what it could mean. Having said all that, I am not scaring you at all to travel on Manali Leh Highway. Rather, my job is to help you understand the risks and take an informed decision. In order to combat acute mountain sickness issues, many travelers going via Manali – Leh Highway tweak the itinerary and tend to sleep at Keylong or Jispa (about 120 KMs from Manali) at the first night. Then they start very early in the next morning from Keylong or Jispa to reach Leh (about 350 KMs from Keylong) by nightfall. Sarchu about 222 KMs from Manali, almost a midpoint, is almost at a height of 4200 Mtrs and causes some, mountain sickness issues many times to many travelers. Hence, the travelers prefer/suggest breaking the journey into 25:75 ratio when you travel to Ladakh via Manali – Leh Highway and still you feel heavy head/nausea in many cases. All these tweaking means, you will have less time on the second day to thoroughly enjoy the views on Manali Leh Highway as you are covering the distance of Keylong to Leh in about 10-12 hrs in a single day. Hence, you make a rushed journey on Manali Leh Highway when you travel in such a direction. Of course, if you travel to Ladakh by Manali to Leh bus service, you do not have any choice in either direction of travel. However, if you are traveling from Srinagar – Leh Highway and coming back from Manali – Leh Highway, you are acclimatized in a much better way to sleep at the high altitude Sarchu where you find good accommodation as well. 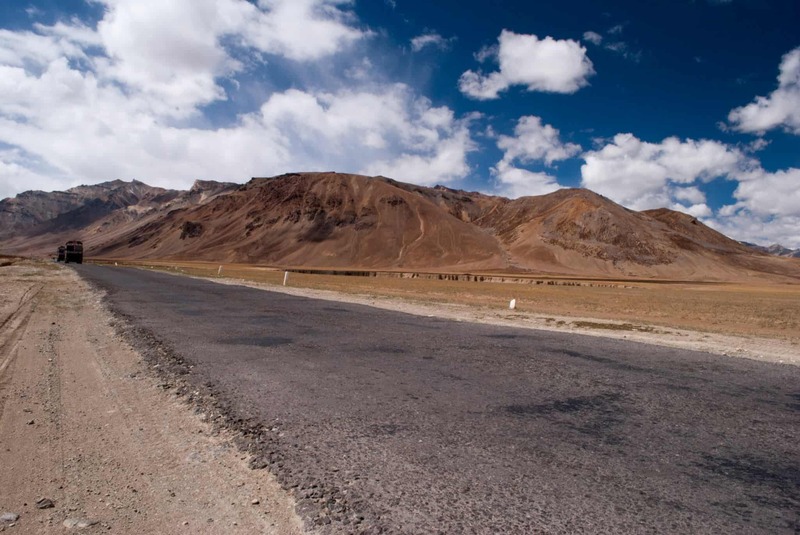 Hence, halting your journey at Sarchu means, you divide the overall 474 KM long journey of Manali Leh Highway very much evenly between the two days. It means that you enjoy the journey of Manali Leh Highway over two days of evenly traveled distance and time. So, you can capture the views in both direction easily rather than rushing through the journey. As you can see in my most recommended itinerary for Leh Ladakh followed by many travelers including me, if you travel towards Manali from Leh then you can better place Tso Moriri lake in your itinerary and save a day for you. You should not visit Tso Moriri while coming from Manali side because first, you will not have any permits and secondly, even if you get the permits somehow your body will not be acclimatized to sleep at a very high altitude of Tso Moriri lake. So, you will have to go to Leh first, get the permits for Tso Moriri, do all your sightseeing in Leh Ladakh and then visit Tso Moriri from Leh. Finally, then again go back to Leh from Tso Moriri to exit from Srinagar – Leh Highway. 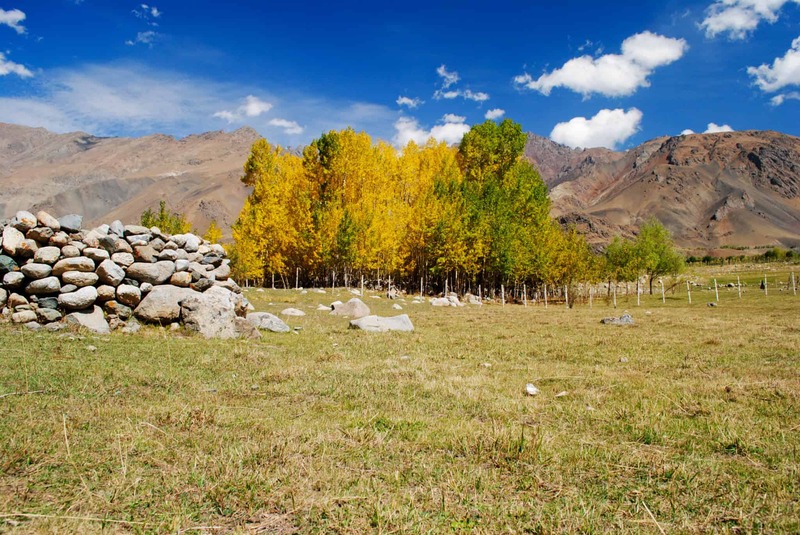 All it means is that you should have one more day in your Ladakh itinerary. Since you can always exit from Tso Moriri lake towards Manali via Tso Kar lake over Manali Leh Highway, it gives more flexibility to place it in the itinerary when you travel from Leh towards Manali. 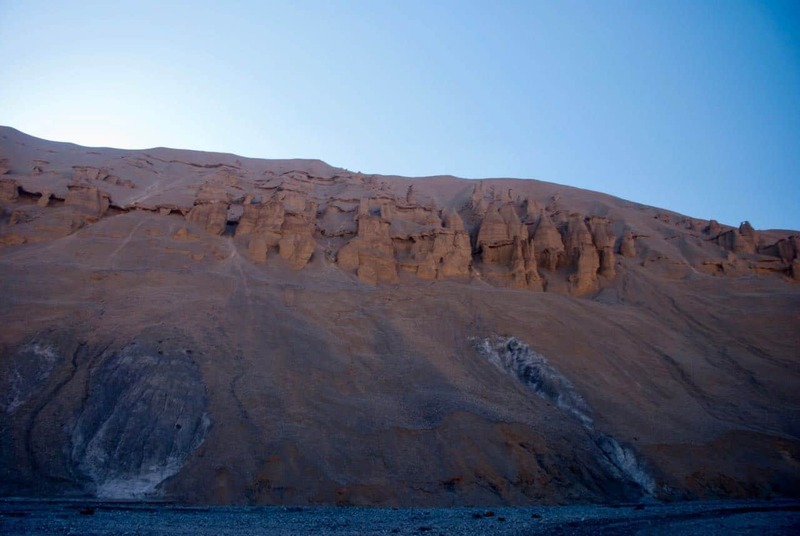 For more details, you can check this comprehensive Travel Guide of Tso Moriri. In 2011, Himachal GOVT. floated a strange rule which disallowed any non-HP vehicle (now) including two-wheelers (bike/scooters) to ply on Manali to Rohtang Pass road. The GOVT. stated that this rule was brought into effect to regulate un-necessary traffic plying on Manali – Rohtang Pass road and make the traffic situation a bit better. Later the blanket ban was lifted and only 1200 tourist vehicles are permitted on Rohtang Pass every day. You have to get the Rohtang Pass permit to visit Rohtang Pass from Manali now. For the people going past Rohtang Pass towards Lahaul or Spiti Valley or further to Leh Ladakh, the rule required to get a Beyond Rohtang Pass permit which is available online or using the mobile app now. If you plan to rent a bike, this will mean a delayed start from Manali as it required you to provide vehicle RC number to apply for Beyond Rohtang Pass permit. The FUNNY thing about this Rohtang Pass rule is that only vehicles going from Manali towards Rohtang Pass need that permit but any vehicle coming from Rohtang Pass (i.e Leh Ladakh or Lahaul Spiti) to Manali do not require any permit. Hence, if you are coming from Leh Ladakh towards Manali or Spiti Valley to Manali, you do not need any permit to cross Rohtang Pass 🙂 .. Yes, weird but true. So, you can see by traveling from Srinagar to Leh to Manali, you save yourself from the political hassles of getting Rohtang Pass permit. However, by 2018, the Rohtang Pass permit process has matured a lot and now the permit is available using the mobile app as well. 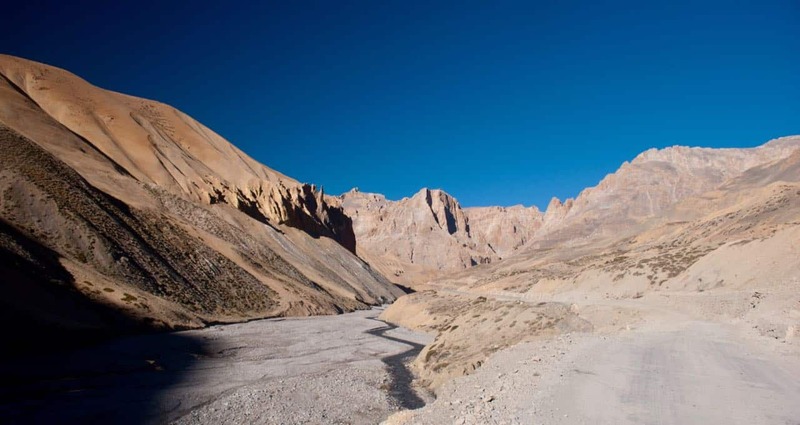 It will take four days to reach Leh Ladakh from Srinagar side starting from Delhi with stopovers at Jammu, Srinagar, Kargil and three days to come back from Leh from Manali side to Delhi with stopovers at Sarchu, Manali. Finally, a day is required to sleep overnight in Leh for acclimatization. This makes it 8 days. So, you can add three more days to make a three day trip to Nubra Valley and Pangong Tso by traveling directly to Pangong Tso from Nubra Valley. Q1. Should I travel to Ladakh from Srinagar side or Ladakh from Manali side? As we learned, going to Ladakh from Srinagar Leh Highway will be much easier on your body, help you acclimatize to the high altitude of Manali – Leh Highway, enjoy the beauty of Manali Leh at an easy pace and will allow you to fit Tso Moriri lake into your Ladakh itinerary in a better way. Q2. Does going to Ladakh from Manali offer better views? I think it is a matter of getting to see such majestic views early in the trip v/s getting used to such barren yet beautiful landscapes upfront within Ladakh and then making a trip over Manali Leh Highway. If you have been to Ladakh before, I would love to know your thoughts too on choosing Srinagar – Leh over Manali – Leh in the comments section of this article below. In case, you have any questions, feel free to leave a comment or connect with me on Instagram. First of all thank you so much for share your experience with us. I am planning for Leh-ladhak trip in near future. Could you please assist me on the below query? 1. What would be the suitable time for a trip. Suitable in the sense of climate and senary. 2. I am planning to start the trip from Hyderabad. I have a stipulated time( total 1 week) to finish the trip. Could you please suggest the best plan for me. I love bike riding. So if you can provide me some idea where I can cover leh- ladhak in bike would be great. Waiting for hearing from you! Are you planning to fly into Leh? we are going to Leh from Srinagar by Road. Does it mean that we need lesser time to acclimatise when we reach Leh ? 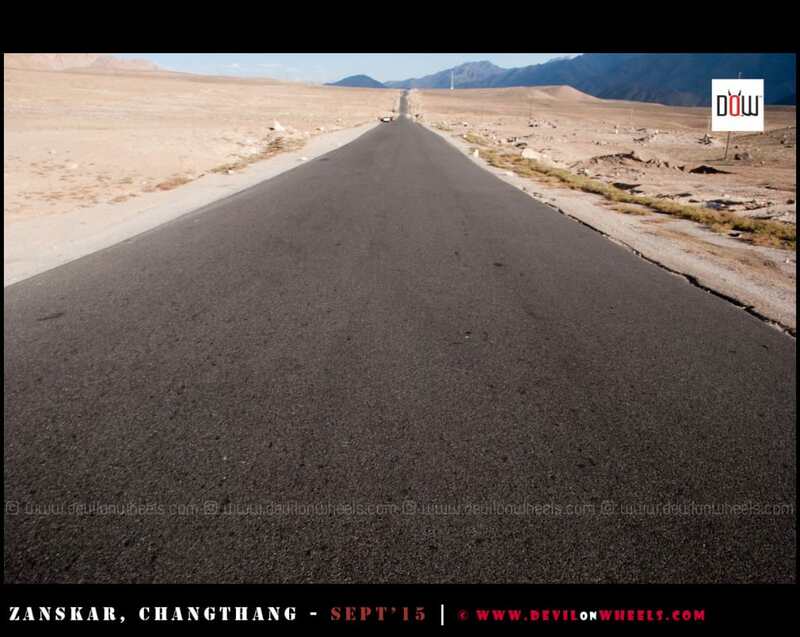 Can we start local sightseeing on Day 1 post reaching Leh at evening and sleeping the night in Leh on Day 0 ? Hi Dheeraj, we are going by bike and want to go via Spiti and come via Kargil. Is that alright for acclinatising? We will reach Nako on Day 2 and Kaza on Day 3 and Jispa on Day4 and Leh on Day 5. Have done this trip few times and feel this is alright for acclimatising. Or would you recommend we go via Srinagar? I will not suggest sleeping at Nako on Day 2 itself. Better stay at either Puh or Chango or Tabo. I am not sure about your stay at Day 1, so cannot comment. But Nako is high altitude and people does suffer that early staying over there. Srinagar – Leh is always much better, may be you can come down via Spiti Valley. Hi Dheeraj – Day0, we will reach Zirakpur. Day1, staying at Rampur Bushahr. Then Day2 at Nako. And your idea is good – we will stay at Chango. We are a group of three bikers and planning a trip in may last week to laddakh. We wish to take Delhi-Shrinagar-Leh.Manali-Delhi route. Can you advise average days that we should keep with us and what is average costing for trip on own moter bikes. Can you please help with tips on preparation and things required? – Traveling from Del from March 24 – April 5..with young kids – is it the best time? – would you recommend air or by car? – Is the Srinagar highway still the best option for the dates? I am planning to visit Leh from Srinagar by road in the month end of March. I have maximum of 5 days to plan. So how should I plan my itinerary ? Is it the right time to go by road ? Should I plan 1 day at Srinagar as well ? Also I hope 5 days are enough for the tour ? How many days do you have in hand? If this is the first trip, I will suggest flying to Srinagar, go to Leh by Srinagar – Leh Highway and then fly out of Leh. Thanks Dheeraj, yes this is our first trip to Let. We have a total of 7-8 days. Should we stay in Srinagar for a night or just landed there and start? Raj, if you just have 7-8 days then You can check a very balanced and most common itinerary for Leh – Ladakh by Air followed by many travelers including me at the link here for 9 days: Leh – Ladakh | Most Common Itinerary by Air.